Boston Dynamics, the American robotic systems developer that creates a stir on YouTube every time they present a new contraption is back again, and this time they have something for the logistics sector. The Massachusetts-based company was more focused on military and “search and rescue” operations in the previous years, but since 2017 when they were acquired by SoftBank, they have turned their attention to more application-focused systems that have a broader and more direct deployment potential. In this context, they have heavily modified their “Handle” robot, which was their only one to sport a combination of legs and wheels, basing its operation on a self-balancing system similar to those used in “hoverboard” scooters. The Handle has now been equipped with a four-axis arm that grabs boxes by using a special suction cup gripper unit. A force sensor is also incorporated so that the robot can determine the balance between firmly holding and not destroying the cartons. Finally, Handle now uses an advanced vision system that allows it to “see” SKU codes and to seamlessly navigate around the mazy paths of a warehouse. So, is it likely that we’ll see these robots in warehouses soon? The answer is probably not, unless logistics operators invest in a purely robotized environment. Simply put, the “Handle” has not been developed to take human safety into account when working, and implementing such a capability would be especially hard to do so due to the nature and characteristics of the systems that the robot deploys. After all, we’ve seen warehouse robot implementations that are much safer, like Amazon’s Kiva and Alibaba’s Cainiao bots, that are used in the thousands already. Handle has its own advantages over these robots though, so only time will tell how far automated pallet stackers can reach. 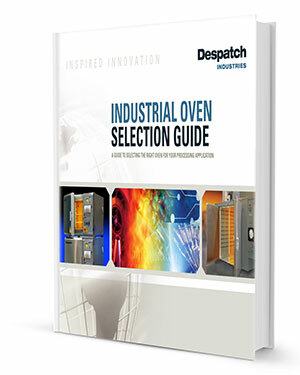 1939 Despatch Industrial Oven Still Works After 77 Years In Service!